Engraved Champagne Flute in a designer presentation box. Slender, sophisticated and understated. 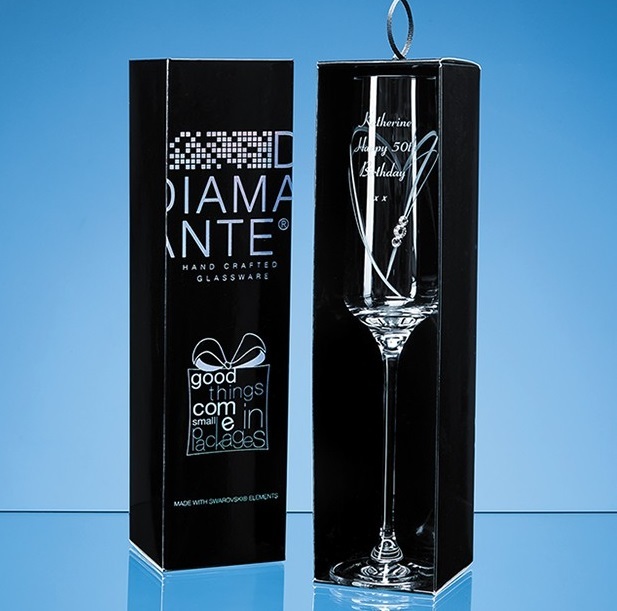 This elegant, contemporary ‘Just for you’ champagne flute is hand cut with a stylised heart shaped design and sprinkled with three sparkling Swarovski ‘Diamante’ crystals. Packaged in a beautiful designer presentation box. An ideal unique gift for a special birthday, anniversary, mother's day, Valentine's Day and Christmas.